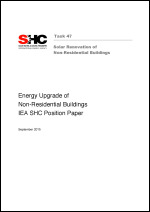 The report summarizes the findings from 20 exemplary renovation projects. The buildings are divided into three categories; educational buildings, office buildings and historic & protected buildings. 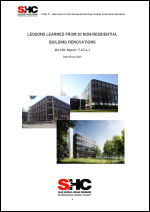 In this summary chapter, the key findings from all the buildings are described. More detailed information for each building category is presented under the respective chapters. The lack of comfort in most school buildings has negative and scientifically proven consequences on pupils’ concentration and learning. This is why school buildings have an urgent need of fundamental refurbishment. 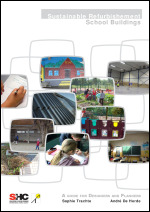 This guide provides designers with information and resources needed to retrofit school buildings in a sustainable and efficient way. The book is richly illustrated with explanatory diagrams and pictures. 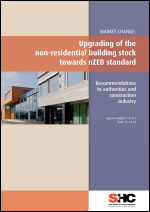 This report includes desktop studies of available building stock information and ownership structures in partner countries and summaries made by task experts from participating countries. Interviews and in-depth descriptions of decision-making processes used in case studies from the participating countries are carried out in order to identify barriers and driving forces. Two workshops within the Task have been organized to discuss preliminary findings. Based on the above listed information, a cross analysis was chaired by the subtask leader with contribution from the task experts, to identify trends, commonalities and differences across the participating countries and draw conclusions about the decision making process.